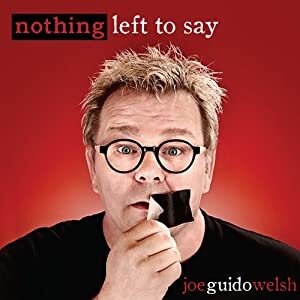 Anyone with the nerve to say that fusion is dead should be shot twice and then while bleeding out, forced to listen to Joe Guido Welsh’s excellent Nothing Left To Say. Some people don’t get it, but even they should be left with one last opportunity to recant. Even though guitarist Welsh claims this new music is “circa ’74 fusion,” it does what all good fusion music does; it holds up. To me it is as new as today. Sure, recognizable influences and sounds abound from the day such as the unmistakable Return To Forever vibe on the album’s opener “The Busybody” and later on again in “Cross I,” but the approach is still fresh. Welsh, an outstanding guitarist, is joined by a first class line-up of musicians including several former members of Todd Rundgren’s Utopia, a band very much influenced by The Mahavishnu Orchestra, an ex-member of Tin Machine and tested Nashville studio sharks. Welsh’s inventive compositions require the players to bring it on every tune. From groove to groove, riff to riff, beat to beat, they do not let him down. A word or two should be mentioned about production value of the album. It is great! (That was three words, sorry.) You can crank this baby loud with no problem. Both evocative and in the here and now, Nothing Left To Say will appeal to fusion fans, progressive rockers and any listener with a clue. Ironically, Nothing Left To Say proves there is a lot more to say. I will be listening. How about you?